Jackie began curling in the Christopher Lake area in the late 1950’s and tasted her first Provincial Competition by skipping a High School team in 1960. She left curling to further her education and work on her career. 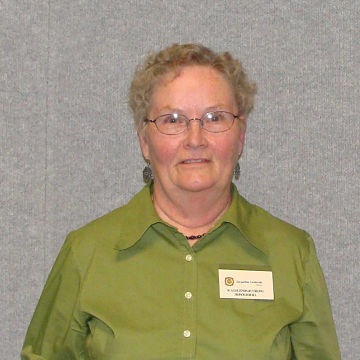 She moved back to Christopher Lake in the early 80’s and took up the game again in a big way. She has competed in 16 Women’s Northerns and 5 Provincials, 8 Senior Northerns and 2 Provincials, 15 Intermediate Provincials, 2 Masters Provincials and 1 Mixed Provincial. As well as all her curling she is a certified level 11 Instructor and is working on her level 111. She has given 53 Novice and 34 Intermediate Clinics as well as after school programs and University PhysEd classes for Suntep students. She has officiated at numerous competitions held in Prince Albert including last year’s National Seniors. She has been on the Christopher Lake CC executive for 24 years and has been an SCA District Coordinator in Region 12 since 1997. As you can tell, she is a very busy lady and shows no sign of slowing down. She has curled over 150 games this season with various teams at Christopher Lake and Prince Albert.